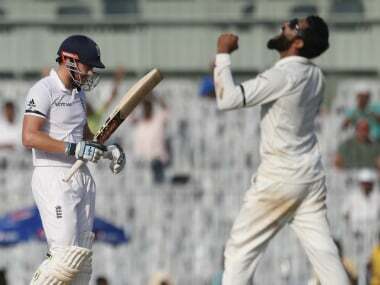 Chennai: All-rounder Moeen Ali lifted England's sagging spirit by compiling a well-crafted century as the visitors made a solid start against India in the fifth and final cricket Test here. Moeen's 120-run knock was the highlight of the opening day's play as England, having already conceded the five-match series following three successive defeats, recovered to reach 284 for four at stumps after losing two wickets quickly in the first session. Ben Stokes (5) was the other unbeaten batsman at the crease after England won the toss and elected to bat. This was Moeen's fifth Test hundred and second of the series, the first coming in the opener at Rajkot. 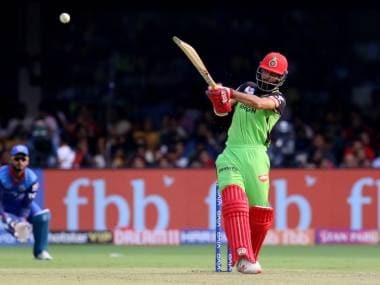 During his stay in the middle, Moeen shared a 146-run partnership for the third wicket with Joe Root, who struck a fluent 88, and added another 86 for the fourth wicket with Jonny Bairstow, who missed out on a half century by a run. On a pitch that provided only slow turn, Ravindra Jadeja was India's best bowler of the day with figures of 3/73, and the fast bowlers were rendered ineffective as there was no reverse swing on offer. 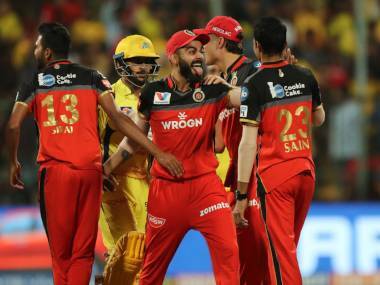 Moeen was scratchy to start with, and even got a life when he flicked Jadeja uppishly through the hands of KL Rahul, who mistimed his jump at midwicket. 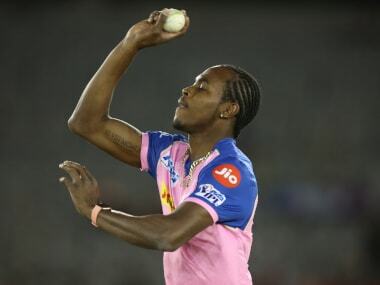 He was also, on quite a few occasions, beaten by Ravichandran Ashwin, who had a rare wicket-less outing. As the pitch eased up, Moeen started to get into the groove and with Root looking in complete control at the other end, England enjoyed a rare period of dominance after being subjected to three crushing defeats. Moeen, who got to the century with a single towards point, decorated his innings with 12 boundaries. Root, who looked in terrific touch till he was dismissed by Jadeja, found the fence 10 times while Bairstow smashed three sixes, including one each of Ashwin and Jadeja, during his 49 off 90 balls. Root, who notched up his 11th fifty plus score against India in as many matches and also tied Virender Sehwag for most fifty plus scores in a year (13), was distraught with his dismissal. Attempting to sweep the left-arm spinner from outside off stump, Root got a thin inside-edge - according to Real-Time Snickometer - after India reviewed the on-field not-out decision - through to the wicketkeeper Parthiv Patel.